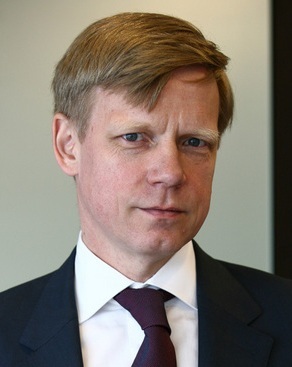 Steven Cornelis van Groningen is an expert of the Central and Eastern Europe banking market and over the past 10 years he has been on top management positions in subsidiaries of Western-European banks in Romania, Hungary and Russia. He managed the start up of ABN Amro subsidiary in Bucharest. Beginning with June 2001 he became a Vice-President of Banca Agricola-Raiffeisen, and in February 2002 he was appointed President. After the merger of Banca Agricola-Raiffeisen with Raiffeisenbank (Romania) he became the President of the resulting bank, Raiffeisen Bank. He is a Dutch citizen and graduated from Leyden University in The Netherlands, majoring in Corporate Law. For this year’s edition of the Forum the organizers suggest three main themes: the West’s strategic stability, resilience and opportunity, and three overlapping territorial angles: European, regional and transatlantic.